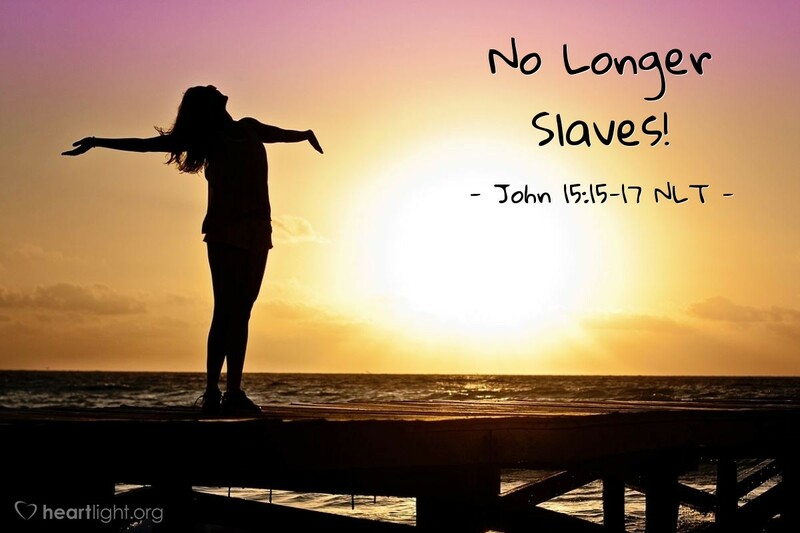 [Jesus said,] "I no longer call you slaves, because a master doesn't confide in his slaves. Now you are my friends, since I have told you everything the Father told me. You didn't choose me. I chose you. I appointed you to go and produce lasting fruit, so that the Father will give you whatever you ask for, using my name. This is my command: Love each other." What is "lasting fruit"? In this context, Jesus wants his disciples to know that lasting fruit includes loving one another. Love is a primary theme that the Lord repeatedly emphasizes in his last words with his disciples. While many other things are important, they will vanish, decay or die. Love, however, remains — it abides; it lasts. Death cannot separate us from God's love. Love is stronger than death. So Jesus commands his disciples to have this deeper relationship. They are not his slaves, but his friends. As his friends, they know what is on the Father's heart, and they are committed to displaying the Father's priority in their own lives. They will love each other! Jesus' command to love each other applies to us just as it did to the early disciples. Father in heaven, fill my heart with your love through your Holy Spirit that dwells in me. Motivate me to share that love with your children. Give me the courage to love others sacrificially as you have loved me. Help me produce fruit that will abide through all eternity. In Jesus' name, I pray. Amen.